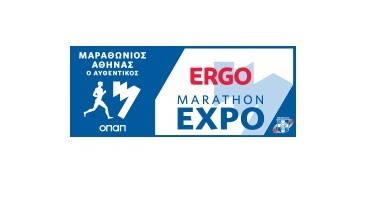 Ergo Marathon Expo started as a parallel event of Athens Classic Marathon in 2007. Year after year the interest for the exhibition was bigger and this year’s event comes not only to repeat the success of last year’s edition, but also to further enhance its popularity and the enormous possibilities it offers, overcoming an adverse business and economic environment. With the participation of a great number of the most reliable and well know firms in Greece, with the support of an impressive group of sponsors, with more than 55,000 visitors and an unbelievable interest for registrations in the Athens Marathon races, it’s obvious that the last Athens Marathon EXPO did not only rise the expectations and responsibilities of everyone involved in view of future exhibitions, but set the strongest foundations for what is about to follow! a) Get familiar with products and services for runners, and take advantage of the exclusive offers of the sport brands. b) Get brochures and information about Marathon and Road Races in Greece and all over the world. c) Attend presentations special packages and offers of sport tourism companies, like travel agencies and hotels. d) Purchase commemorative gifts of the Athens Marathon and souvenirs. e) Get free medical tests on endurance by specialized sport doctors. f) Check technology products & fitness equipment.